Motorpoint has ensured the cost of owning a 4x4 is now well within reach of the vast majority of drivers with savings of up to £7000 off the new Chevrolet Captiva. The car supermarket giant is currently offering the Chevrolet Captiva 2.0 VCDi LS 5dr [FWD] with delivery miles for only £13,599 - a saving of £6,916. The compact SUV comes with a punchy but frugal engine which returns a claimed 38.7mpg. Air Conditioning, alloy wheels and metallic paint all come as standard with this particular model. 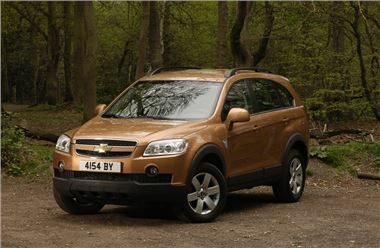 What's more anyone purchasing the Chevrolet Captiva using in-house finance receives up to three year's worth of RAC Breakdown Cover (worth £250) absolutely free.